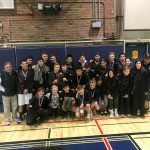 The varsity wrestling team finished in 1st place at the SCVAL wrestling championships at Lynbrook HS. The Cats scored an amazing 277.5 points in route to their first league championship since 2010. 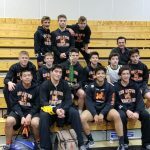 Los Gatos had 9 wrestlers in the finals with 4 individual champions. The Cats filled every weight class with the exception of the 106lbs. Friday, December 1, 2017 1:00 PM Los Gatos High School AWAY 54 Davis Senior High School HOME 15 Meet Recap The Cats cruised to a win over Davis. Junior Taras Priadka got a fall at 195lb over Eli Otto-cutting, Team Captain Quinton Leary got a fall at 160lb over Ethan Horowing. 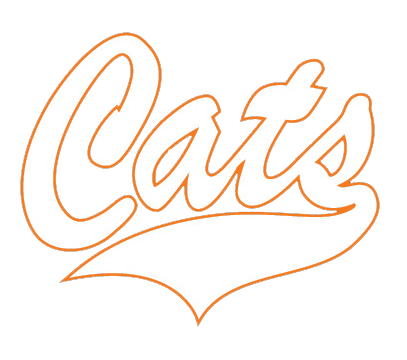 Friday, December 1, 2017 12:00 PM Los Gatos High School AWAY 36 Casa Roble High School HOME 35 Meet Recap Cade Hickok at 120lb fought a very talented Miles Weddles to help the Cats pull of a win! Friday, December 1, 2017 9:00 AM Los Gatos High School AWAY 36 Corning High School HOME 26 Meet Recap The Cats came strong in the first dual of the year! Freshmen Jordan Phillips started the day with a pin vs. Loli Orduno. Saturday, November 25, 2017 9:00 PM Place 1 Points 3 Meet Recap Solid performance today at our scrimmage versus JunÃ­pero Serra H.S and Westmont H.S.. We had several wrestlers earn their stripes as they took the mat in a competitive match for the first time. Our veterans wrestled well against the defending 2017 WCAL Champions.